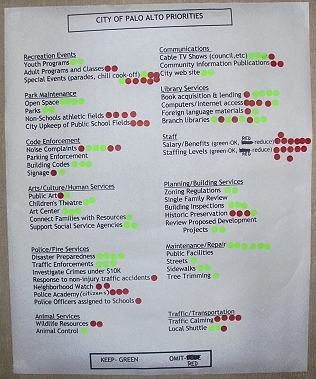 which city services they deemed must be kept (green) and which could be reduced (red). Frank: "Basically we have the perfect storm." Revenues have plummeted--sales tax income is down 20%, hotel tax down down 30%--while expenditures are up, sych as required contributions for health care and retirement. The biggest impact is the loss of vehicle license fees and property taxes. The state has already taken $30 million from the community since the mid-1990s. Even though the city faces a $10 million deficit next year, it is committed to essential services, its rainy day fund, infrastructure programs, and its annual support of the school district ($6.5 million). The 2003-2005 budget is currently being developed and will be submitted to the City Council during the 3rd week of March. It's likely to include provisions to cap health care costs, out source some functions, reduce unnecessary "ritualistic" processes, and provide income producing services to other communities (such as animal services). 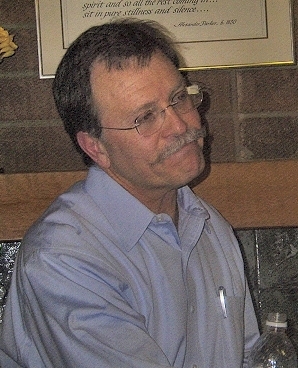 City Manager Benest is aiming for mid-1990 levels of service. Liz: "Our county deals with the neediest and naughtiest." 79% of the county's budget goes to three areas: children, familes and senoirs; health and hospitals; and jails. 60% of the county's income comes from the state and federal governments. The county has 17,000 employees, but roughly 1 in 5 jobs will be cut. Looks like the state budget deficit will be $45 billion (instead of $35B). Frank: Palo Alto receives only 9 cents out of every dollar paid in property taxes. Most goes to the county, state and school district. It's a steady, but not major, source of income. The sales tax model is an industrial one, based on the taxation of goods. One idea he favors is incorporating more services into what's taxed, but at an overall lower rate, such as 4 or 5%. Frank: He believes the City Manager should be a role model and would participate. However, city employees are unionized and therefore pay reductions have to be negotiated rather than mandated. The city and unions are working together, looking at pay freezes, work furloughs, etc. Also, although all departments must participate in cost cutting, some areas are more essential than others, so a blanket 10% reduction is not really workable. Liz: "We could save most of our jobs in the county if unions were willing to take cuts," but they're not. Frank: Staff has proposed going before council to request business license fees. However, in this economic environment it is important to support our business community and help them grow our revenue base, so business licenses will wait for an economic recovery. Frank: City has identified sites for below market rate housing and the council has directed him to rezone some commercial areas to residential. Another idea is to consolidate substations and turn the downtown site into housing. Liz: The Country is committed to building the Opportunity Center. Frank: He doesn't foresee any sales and views the Roth Building as having a role as a community facility. Frank: Participating in CalPERS (Public Employees Retirement System) is big advantage for recruiting employees because the plan is portable when mployees move from one public employer to another. Primary problem is predicability of costs. When the stock market was going up, appreciation of investments covered much of costs. With current market, City (and County) have to make larger payments to cover the commitments. Liz: "We govern by initiative" when it comes to what and how we spend for schools, transportation, etc. Cities and counties are working together on a plan to provide a steadier income. Frank: Crises bring out creative ideas. Also working with business groups on solutions. Frank: Sees it as a "great advantage" and "absolutely essential." 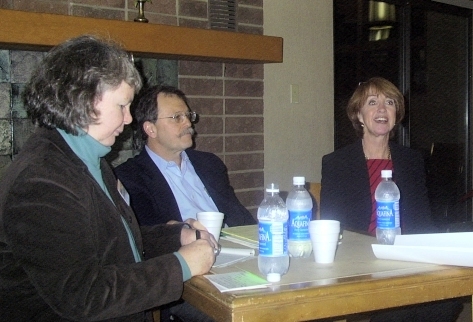 Associations provide a great "sense of community." He also believes we need to evolve how we communicate, such as having city officials come to community meetings. Liz: Also suggested that neighborhood associations invite county officials to speak at their meeting. Go to the City Budget web site and get more informed. Decide what's essential for the community, not just yourself or your family. Write to the governor and your state legislator. Shop in Palo Alto! Sales tax is Palo Alto's biggest revenue source. "We're all in this together." Be understanding of the decisions and cuts that have to be made.